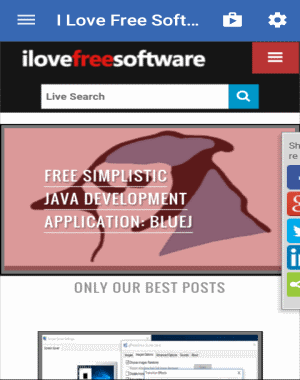 This tutorial talks about how to create lite version app of websites on Android. We all love using apps of our favorite websites as they don’t work like the native web pages with slow navigation. But, what if some of the favorite websites doesn’t come with an app for your Android phone. Well, no more worries as this tutorial will exactly explain how you can get a lite version app of all your favorites websites right on your phone. Lite version apps are not exactly like the native mobile apps, but they do help you navigate web pages easily, reduce page loading time, save your phone memory, and mobile data. In this tutorial, I will use a free Android app called “Hermit” which can be used to create lite version app of any website you want. Actually, what happens is it makes a bookmark (shortcut) of any website and adds it on your home screen, which you can use as a lite version app and browse the web pages as enhanced mobile site. All the created lite version apps will open up via Hermit’s built-in browser which is quite different from native web browsers and comes with powerful customization options. Step 1: Before you get started, simply install and open the Hermit app on your Android phone. After that, you’ll see a “+” button on the Home screen which can be used to create new lite version app of any website. Step 2: When you tap the “+” button, a new screen will appear where you’ll see a search bar which you can use to search for any website for which you want to create the lite version app. Additionally, it also shows some predefined lite version apps of various websites listed in categories like Social, News, Technology, etc. which you can tap to add on your home screen as a lite version app. Step 3: Once you search and find the required website, simply tap on the URL, give a name to the app, and then hit the “+” button at the bottom of the screen. 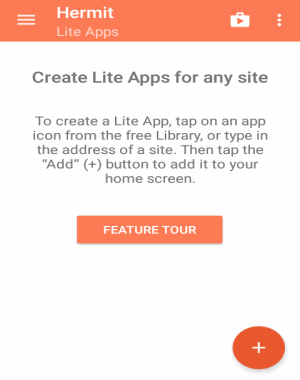 A dialog will appear where you need to click the “Create” button, and then it will automatically create the lite version app of that website and add a shortcut on your home screen as shown in the very first screenshot. Now, on the home screen simply tap on the added shortcut to open up the website as a lite version app. Step 4: The lite version app will actually open up the enhanced version of the mobile site via Hermit’s built-in browser with much faster interface. At the top of the website homepage, there will be a hamburger icon which comes with two different options named, Customize and Manage Lite Apps. Simply tap on the “Customize” button to change the entire look and control of the lite app. Step 5: As soon as you select the “Customize” option, a new screen will appear with 4 different tabs: Behavior, Theme, Bookmarks, and Integration. 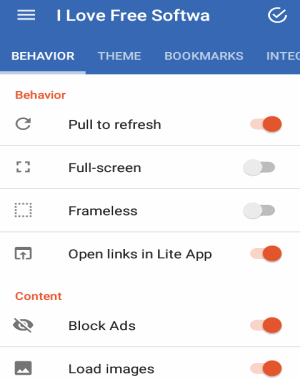 On the Behavior tab, you’ll be able to enable various options like pull-to-refresh, full-screen, frameless, and open links in the lite app. Apart from that, it also comes with some powerful options like you can block ads, enable/disable images, block tracker, toggle desktop site, and enable data saver mode. Step 6: The “Theme” tab can be used to change how the lite version app will look like by changing colors, lite app name, and also importing custom icon for the added shortcut on the home screen. 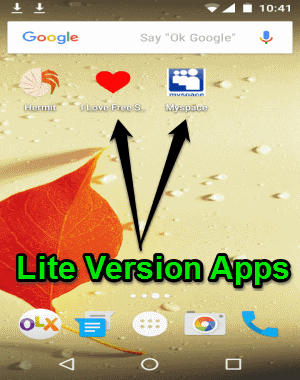 If you’re looking for a method to browse your favorite websites in a faster and better way, then you should go ahead and make the lite version app of all the websites. 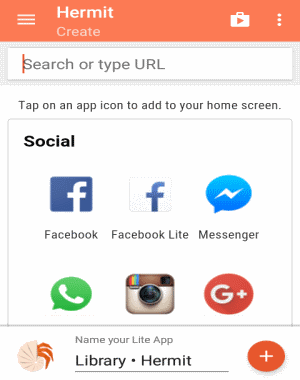 You can use Hermit to create lite version app of websites on your Android phone. Apart from that, you can also create the lite version app of websites which already have their own mobile apps (such as Facebook, Twitter, etc) in order to save your phone memory (the native mobile apps can eat up an enormous amount of your phone storage).